Signal Outdoor Advertising of Atlanta, Georgia and the InSite Martin Street Ads company of Los Angeles which announced their merger back in October have announced a new name and brand for the business – InSite Street Media. Randall Smith, CEO said, “Our new name is designed to give us a brand identification with agencies and advertisers that is easy to remember, but also says what we do”. 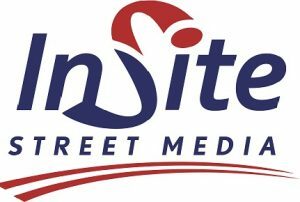 InSite Street Media (now has more than 15,000 faces and contracts with more than 70 municipalities in California, Florida, New York, Connecticut, New Jersey, Virginia, Maryland, and Georgia. Markets served include Los Angeles, New York MSA, Washington, DC MSA and Atlanta, Tampa/St Pete and Miami Dade-Broward, Florida. The combined inventory includes 5025 bus shelters, 9750 bus benches and 720 bus sides. InSite Street Media’s mission is to provide world-class quality service to the out of home advertising industry through first class bus shelters and to continue the upgrading and professionalization of the bus bench medium. Ray Moyers, President of InSite Street Media told us “The new brand is designed to be a play on words of a first-rate visual medium that attracts a reliable and measurable audience”. InSite Street Media is sponsored by M South Capital Partners, a private equity company based in Atlanta.